How are you all today? I wanted to make a quick note about a new page up above this post called "Cakes and Cupcakes". I had a reader contact me about other cupcake and cake creations I had made and since there was no great way to search for them I decided to make a master list. As I make new cakes or cupcake creations I will add posts and link them with a photo to this page for a master list of yummy goodness. Hope you enjoy it. Thanks! 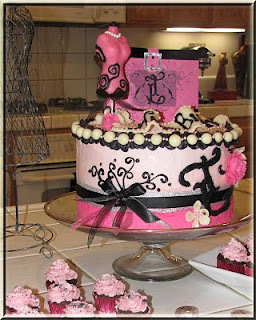 Fallow my blog for all updates for cakes, cupcakes, paper crafting, costumes and couture, home decor, party and event styling.